Grainne Cornally picks out the first Prize ticket in the annual Athlone GAA Christmas raffle which was sponsored by the Sheraton Athlone Hotel. L to R: Fergal O’Toole, Chairman, Athlone GAA, Grainne Cornally, Sheraton Athlone Hotel, Tommy Lynam, Treasurer, Athlone GAA. 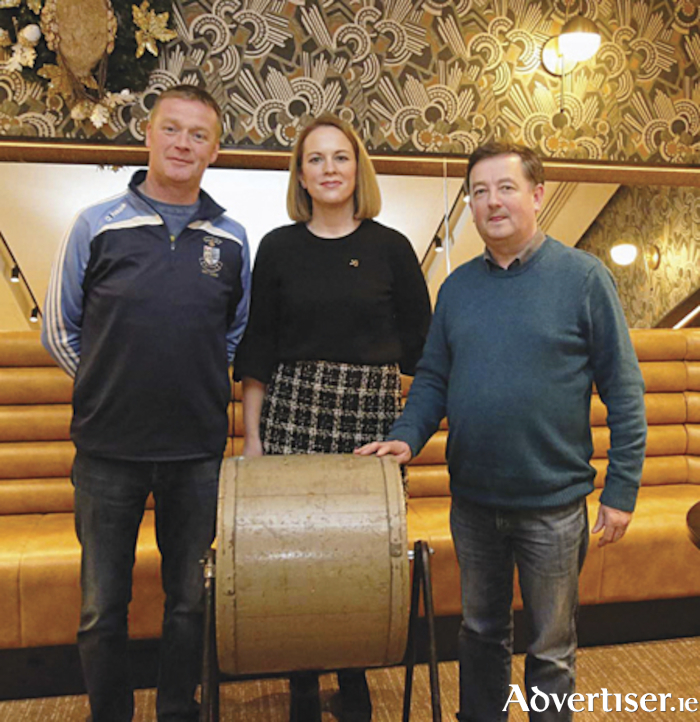 Athlone GAA hosted their annual Christmas raffle with the draw taking place in the Sheraton Hotel, the primary sponsors of the event.The first prize of an exotic getaway break and a contribution of €500 towards flights was Tom Curley, the seller of the winning ticket being Bud Sharkey. Additional prizewinners on the night were Adrian Hanley, Redmond Cabot, Kevin Whyte and Finbar McCoy.In what is the main fundraiser of the year for Westmeath’s oldest GAA club, there was, as always, strong support, for the draw, with members contributing to its success, giving of their time to sell tickets.